When we launched On-Demand Indexing in Custom Search, our goal was to make it possible for you to include your new and changed pages quickly in your website’s search results. Since then, we’ve improved indexing freshness and doubled On-Demand indexing quotas. Today, we’re happy to announce further improvements to On-Demand Indexing that make the process simpler and more flexible. First, we’re providing a new On-Demand Indexing API, which will allow you to initiate indexing actions programmatically. Your content management systems can trigger these new APIs when new content is being published, so that changes on your website are reflected automatically in Custom Search results. Previously, you needed to provide validated Sitemaps in Webmaster Tools and then select a Sitemap for On-Demand Indexing in the Custom Search control panel. Now, to make this process simpler, you can submit Sitemaps directly within the Custom Search control panel. At this time, we will only consider URLs that belong to the same host serving the Sitemap and for sites verified by the owner of the Custom Search engine. The best improvement: we now allow you to delete URLs from inclusion in your search. If a page on your site has been deleted, or has content that is inappropriate and you want to eliminate it from search results right away, you can list the URL in your sitemap and mark it for deletion by using an “expires” tag. For more information on this, and the new On-Demand Indexing API, please refer to our documentation. Based on the type of search engine you own, you have certain quotas for URL indexing and removal. You should be able to verify your quota usage in the control panel. We hope that these changes make it easier for you to control the search experience for your users. As always, we look forward to your feedback. This entry was posted in Custom Search Blog and tagged Google Custom Search, Search on June 30, 2011 by Custom Search Team. As we talked about at our Google IO session, the Google Web Fonts team has been hard at work designing a new font browsing experience for www.google.com/webfonts. Today, this new interface is available for you to try! Just click here, or you can click the New Version link at the top of our current product. The interface has a lot of the features you've requested, including the ability to preview your own custom text, the ability to compare fonts side-by-side, as well as an indication of page load times. To arrive at the final design, our team spent significant time researching how users pick which fonts to use on your web pages, blogs and projects. Based on our findings, we sketched out dozens of possible ways to design our font browsing experience. After many iterations of testing with our test users, we believe we've arrived at a font browsing experience you'll really like. Our primary goal with this new interface is to ensure that as the library of free, open source web fonts grows, you can still browse the library quickly and easily. To accomplish this goal, we've introduced the concept of a collection, which is similar to the concept of a shopping cart on your favorite ecommerce website. Just add fonts to your collection, and then proceed through the Choose, Review and Use steps. During this process, you can compare them side by side, experience with them in sample layouts using the new Test Drive feature, and finally copy and paste the HTML snippet to use these fonts in your pages. During our user studies, we noticed that when users proceeded to select a font, they have a certain use case in mind. In other words, they knew they were looking for a font for a logo, for a heading or for body text. So we designed 3 different viewing modes - Word, Sentence and Paragraph - to facilitate font browsing in each of these cases. By default, you are in Sentence mode, which shows about a sentence length of preview text. But when you switch to Word mode, the font preview size increases, and the font cards shrink so you can see more fonts on the screen. When you switch to Paragraph mode, the text size will shrink significantly, and you'll see the fonts used in sample paragraphs instead. Second, the new interface allows for easy font browsing by weight. Just use the thickness filter in the left hand panel. Looking for an Ultra black font? How about Ultra Light? Look no further. This feature relies on the font technology of TypeDNA. The Google Web Fonts are analyzed to determine each font's specific boldness characteristic. In this way, you see a consistent level of boldness across the fonts in your filter, regardless of how the font designer originally categorized them. The new interface introduces the Test Drive module, which allows users to visualize their font collection in a sample layout. In this way, you can see what your fonts look like in practice, before embedding them in the final product. To take your fonts for a test drive, click on the Test Drive tab from within the Review step. And finally, the new interface has a final step, Use. Here you'll find an indication of page load time based on your font selections. It's important to remember that the more fonts you use on your page, the more font data needs to be downloaded before your users can use your pages. Although Google Web Fonts is highly optimized to serve web fonts quickly to any user in the world, it's always important to request only the font families and styles you intend to use on your pages. Sometime in the next few weeks, this interface will replace the current homepage at www.google.com/webfonts. But until then you can give it a spin and let us know what you think. This entry was posted in Google Web Fonts Blog and tagged Fonts, Web Fonts on June 28, 2011 by David. Since we began in 2007, the Data Liberation Front has been focused on one thing: making it easier for you to take your data in and out of Google. Our first step was to make it easier to get your data out of our products, one product at a time. While we’ve made great progress on this front, we’ve been on the lookout for even better ways to let you take your data out of Google. Today we’re pleased to announce the Data Liberation Front’s first revolutionary product: Google Takeout. Google Takeout lets you take your data out of multiple Google products in one fell swoop. Moreover, you’ll find that all your data is in portable and open formats‚ so it’s easy to import to other services quickly. These are just the beginning: we will be adding more Google products as time goes on, so stay tuned. 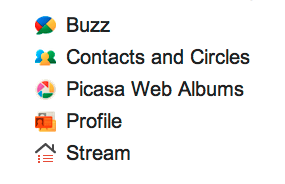 For now, check out the settings menu in Google+ or visit google.com/takeout to give Takeout a try. This entry was posted in Data Liberation Blog and tagged Data, Data Liberation on June 28, 2011 by Brian Fitzpatrick. Pablo Impallari's Lobster font is one of the most popular fonts on the web. Its exciting design, excellent OpenType features, constant development and inclusion in the launch of Google Web Fonts last year have made it a favourite for millions of people. Pablo continues to actively design and release his own typefaces and help other designers learn and publish new fonts. You can see all his fonts and read more about Pablo on his Google Profile. 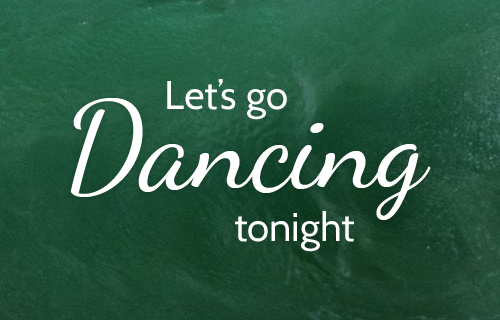 Q: What inspired you to create the Dancing Script font? I love scripts, both formal and casual. For Dancing Script, my inspiration came from the many casual scripts of the 1950s. "Murray Hill" and "Mistral" were the two main references. I wanted to create an informal flowing script where the letters bounce up and down the baseline. And to keep it friendly and legible at the same time. Any place where Arial and Times New Roman look boring. Informal invitations, party flyers, Happy Birthday cards... you name it! Its better to use it together with sans-serif fonts, so the spontaneous effect is enhanced through visual contrast. If you look at the whole picture, thinking that you have to complete more than 200 glyphs, that can be overwhelming. But if you goes one letter at the time you get little "Eureka moments" each time you get finish a glyph. That motivates me to move on to the next one. Also, being able to write more words every time a new letter is added feels fantastic. Designing the lowercase letters. Don't really know why... maybe because this is where everything else is defined. Doyald Young's books are mind blowing. I encourage everyone to buy them. Sadly Doyald passed away recently and he surely will be missed! Young Galland and Young Finesse from Doyald Young, they are just perfect! Montague Script from Stephen Rapp, its a truly lively script. Pooper Black and Sneacy from Michael Clark, for the same reason. Cabazon from Jim Parkinson, a legible, friendly Blackletter. Tyffany and Ronaldson, for they spikey caps. I can continue forever... There is always something to love in almost every typeface. Hinting TrueType fonts is very hard to do. On Type 1 or OpenType-CFF fonts, that was not really a big problem since their hinting is much easier and looks much better. But since TrueType fonts are coming back for the web, TrueType hinting is important once again. This is my new reason to hate IE. Having a nice TrueType autohinter would be great! This entry was posted in Google Web Fonts Blog and tagged Fonts, interview, Web Fonts on June 13, 2011 by Dave Crossland.